Three lucky winners will each walk away with a SIGNED poster from the film and a copy of Nikolai Leskov’s ‘Lady Macbeth of Mtsensk District And Other Stories’, the classic novella on which the film is based. 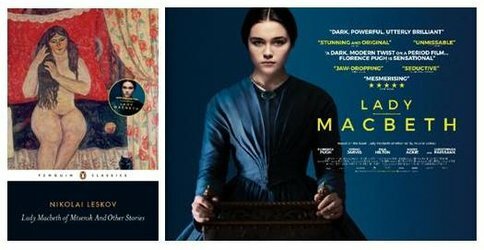 The film is a British retelling of the Russian novella Lady Macbeth of Mtsensk District And Other Stories in which Florence Pugh takes the lead as Katherine, a beautiful, determined and merciless young woman seizing her independence in a world dominated by men. When she embarks on a passionate affair with a young worker on her husband’s estate, a force is unleashed inside her so powerful that she will stop at nothing to get what she wants. The competition closes at 23.59 (GMT) on Tuesday 9th May 2017.